Incredible speech by navy admiral who was formerly a SEAL. click to read. 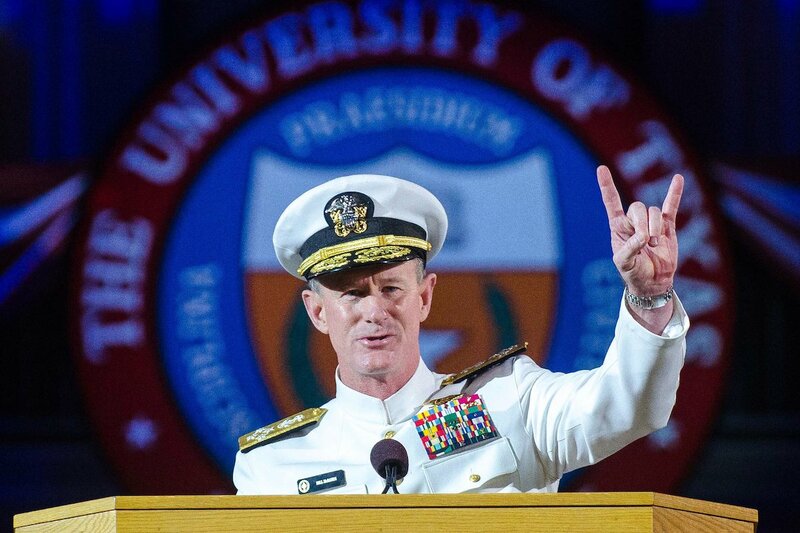 BTW, he is doing the “Hookem’ Horns” symbol for the University of Texas, not the devil sign.